Adequate role allocation and clear distribution of responsibilities are part of the overall management strategy. ALU and TyuSU equally lead in management of the project in order to ensure continuity and to capitalise on previous joint experience. 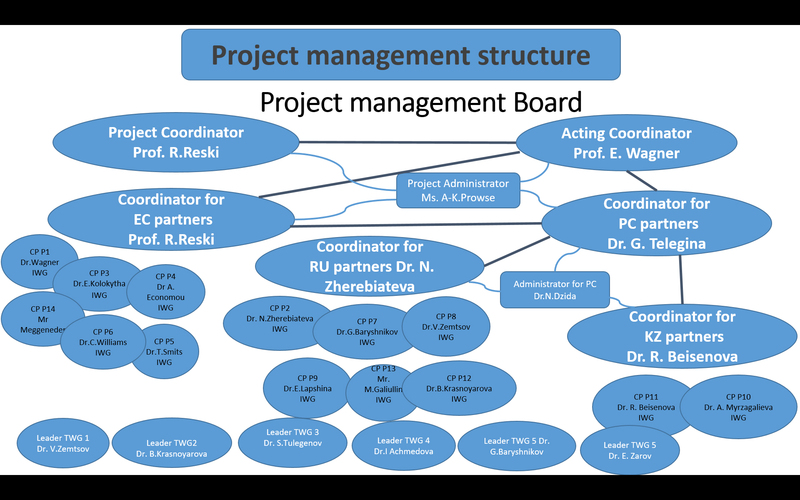 The Project Coordinator (Prof. Reski, ALU) authorizes funding distribution and officially represent the project; Acting Project Coordinator (Prof. Wagner, ALU) is in charge of day-to-day management in regular contact with the PMB and the PC Coordinator Dr.Telegina (TyuSU). Regular meetings of the PMB include contact persons for all partner institutions and when possible are linked to other activities. Minutes of each meeting are written up and circulated. TyuSU coordinates the project on behalf of PCs and is the lead partner supporting ALU in administration and financial reporting. 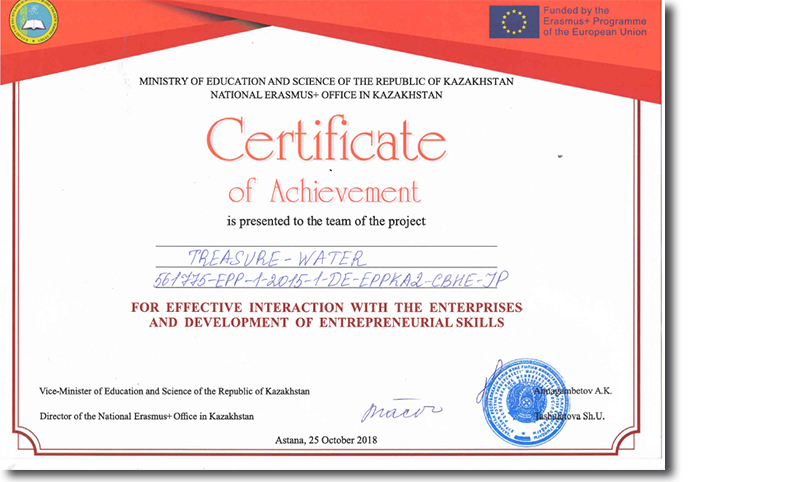 It supervises regular accounting and archiving of project documentation, collection and analysis of financial data for the PC s; summarises and up-dates the project achievements; monitors fulfilment of the Work Plan, coordinates the assigned project activities and report to the EU Coordinator. 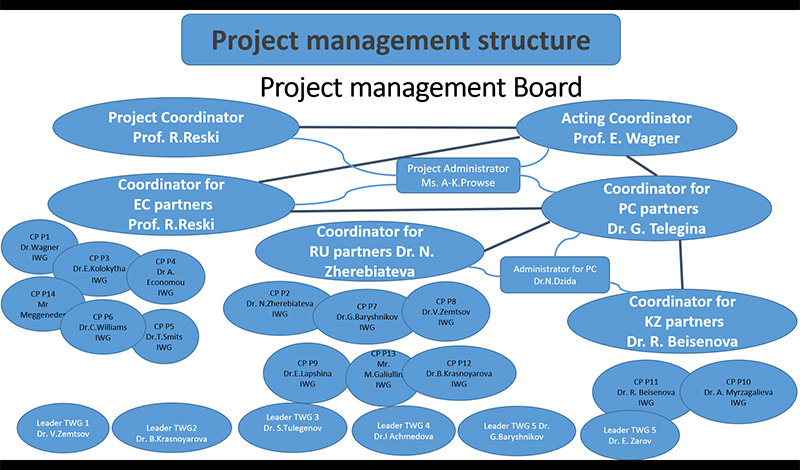 TyuSU also concentrates on supervision of development of curricula design (WP 4, together with RUN), implementation of the training courses on TWRM in a pilot mode (WP 6, together with UA and YuSU) and management (WP 9, together with ALU). The roles of the other EU partners in terms of management are: participating in organizing project mobility programmes in the EU; filing project financial documentation; providing regular up-dates of their activities for reports; participating in decision making and management meetings. The lead partners for work packages are in charge of implementation of the activities and report to the Coordinator and the PC Manager. The PC members of the consortium are fully engaged in the project management. They participate in selection of teaching staff for training; provide information on project activities according to the work plan; organise professional development courses for industry partners; file project financial documents; regularly provide data for reports; participate in management meetings and decision making; develop wider cooperation between consortium members. Inter-disciplinary Working Groups (IWG) have been set up on a vertical level (in each PI), and on the horizontal level trans-institutional WG, each centred around a specific task; their members trained at seminars, workshops and discussion sessions. The major decisions are taken in a democratic way, after an open debate and voting, on the basis of consensus. The Partnership Agreements provide a legal framework for smooth solutions of disagreements and conflicts, in case any arise. The PMB and the TWGs have been trying to develop a friendly atmosphere, mutual understanding and professional networking. When selecting staff for all activities, the interests of under-privileged groups are taken into account and special attention is paid to building a gender-balanced team. 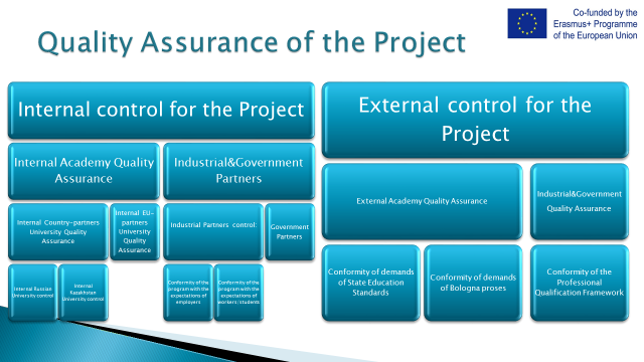 Quality control and regular monitoring is an integral part of the project implementation. The methodology for quality control and monitoring was discussed at the kick-off meeting at TSU in March 2016. The plan for QA was up-dated and made available on the project website.